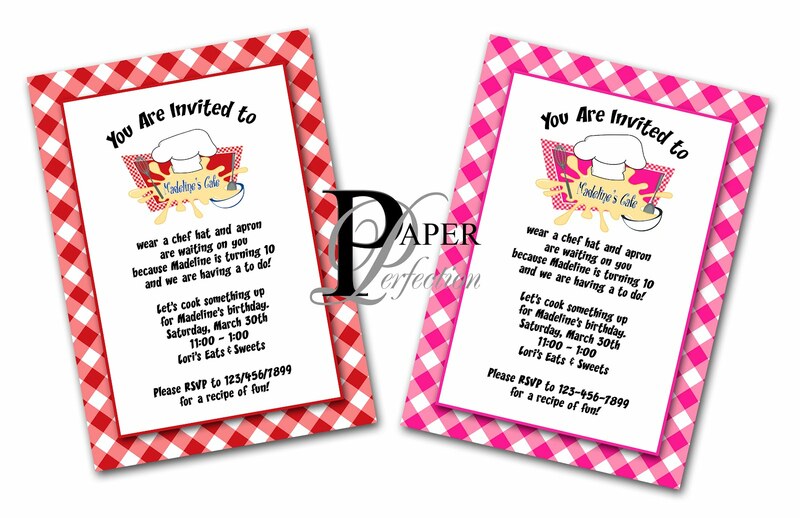 I have been working on a cooking party collection and started with the invitation and just had to show it off. A cooking party can be so much fun with kids as you can have them make their own individual pizzas as well as make and decorate their very own cupcakes. 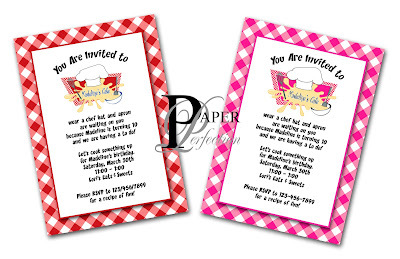 If you are interested in party printables for a cooking or chef party contact Paper Perfection at jtanddolly@yahoo.com for pricing and details.